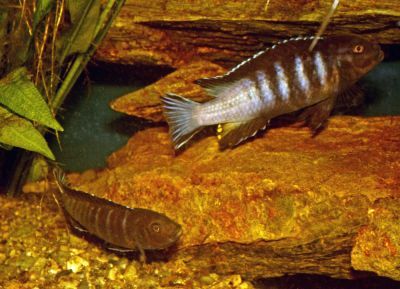 In the fall of 1972 I was buying my first Malawi cichlids species. Today I find that they using the name P.sp. aggressive on this variant. 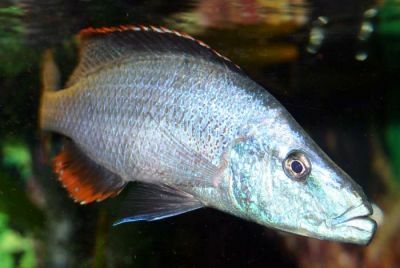 It is more than 10 different variant of this species wide spread in the Malawi Lake. I learn very fast that this was a very aggressive how need special aquarium. In the picture from fall 1972 the male with the blue strips call the female to the cave for breeding. This fascinated me very much because it was so much new for me about this Mbunas from Africa; it was the decorating of the aquarium, the food and their behavior. This was also a new type of aquarium fish never seen before in our town. I was the first to buy and later breeding Malawi’s in Trondheim. The species was like all Mbunas mouthbreeder and this fascinating me very much. So this became a new chapter in my career as aquarist. I decide to specialize in cichlids from Malawi. I had to building a new room only for Malawi cichlids in the basement of our house, because I need some big aquariums for my cichlides. Today, there have been 35157 visitors (90858 hits) on this page!